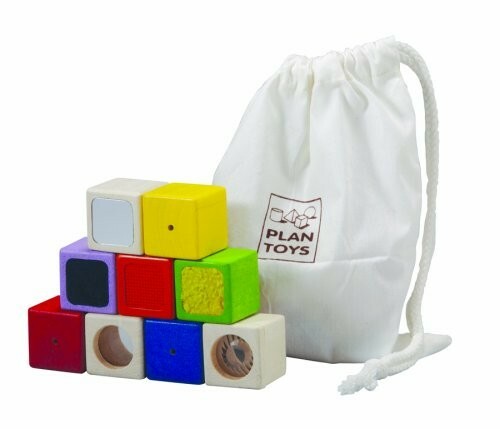 With this set of activity blocks from Plan Toys, you can discover different textures, sounds, and colors to stimulate touch, feel and hearing. The set consists of 3 visual blocks, 3 auditory blocks and 3 texture blocks, plus a storage bag to keep them all together. 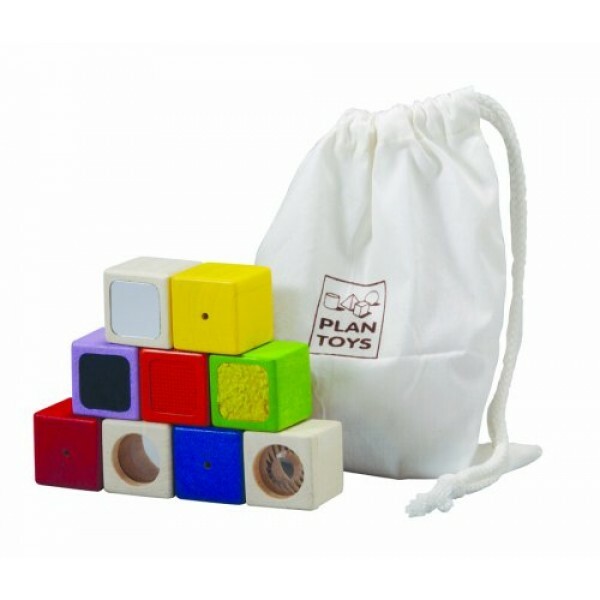 All Plan Toys are made using organic rubber wood and are finished with non-toxic, vegetable-based dyes and paints.